MY TEACHER, MY HERO, AND THE REASON I BELIEVE IN MYSELF. 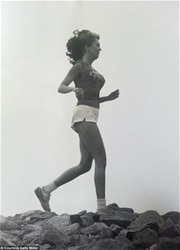 In 1990, I became the first woman to travel the length of The Great Wall of China. I finished my journey in the Winter, when snow made it extremely difficult to travel....almost impossible to see what lay hidden below it's frozen white crust. Each year about this time, my thoughts take me back to The Wall, back to the specialness of being alone on China's most magnificent and ancient.... man-made structure. And, I remember Ms. Mabel Moore, my fourth grade teacher who believed in me and my Great Wall Dream. "On the last day of school, my fourth-grade teacher, Ms. Mabel Moore, placed the Geography Book in my hands. At the time, I was nine years old, yet my wise teacher realized the seriousness of my fascination. “Grow up, finish school, then go to China and travel The Great Wall. Find all the answers—to all the questions—I couldn’t answer; discover the many secrets hidden there by its builders. You will be responsible for sharing your Great Wall Experience with the World.” My teacher made it sound so easy....like riding a city bus across town. Forty years later, when the complicated plans were finalized and I was just two weeks away from the first-ever journey of The Great Wall of China—I reunited with Ms. Moore. I found her in a welfare nursing home. Reduced to a wheelchair and barely able to move, my teacher responded to my voice by slowly raising her head and looking in my direction. Weak and unable to speak above a whisper, she said, “Oh, Sally, it’s really you. A sweet nurse read me the article about you getting permission to travel China’s Wall. I never forgot how you loved that Wall. I’m so happy! I promise to be with you each step of the way.” I hugged her fragile body and marveled at the still-vibrant mind of my long-ago teacher. The goodbyes were touching and also teary. I promised to call her when I finished my journey. 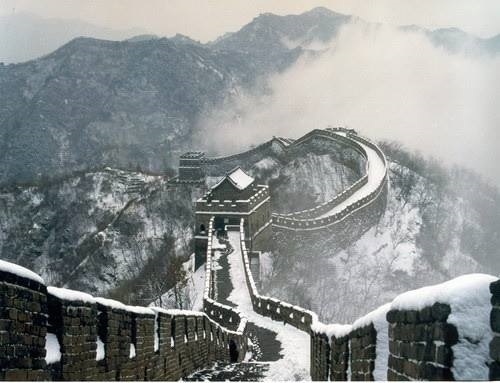 Seven months later, after completing All The Wall (the official name of my adventure), I returned to Beijing. I could hardly wait to call the nursing home and share the news of my Great Wall journey with Ms. Moore. The nursing home receptionist, recognizing my voice, placed me on hold. The next voice I heard was that of the facility’s director. With deep sadness I learned Ms. Moore, my inspiring fourth-grade teacher, had “slipped away” during her sleep. I asked the exact day she died. When I learned it was the very day I completed my Great Wall Adventure....I wasn’t surprised. Like finishing the final chapter of a book, I felt satisfied; at peace. Ms. Moore didn’t need to hear about my Journey. Faithful to her promise, she’d been with me—each step of the way."